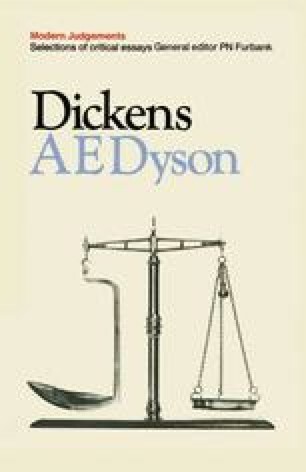 Dombey and Son stands out from among Dickens’s novels as the earliest example of responsible and successful planning; it has unity not only of action, but of design and feeling. It is also the first in which a pervasive uneasiness about contemporary society takes the place of an intermittent concern with specific social wrongs. These are the main reasons why this novel rather than Martin Chuzzlewit or David Copper-field is here chosen to represent Dickens in the 1840s; and these form the main headings — of unequal, but related importance — under which it will now be considered.